Cool idea in the works. Claire came up with a great idea to have plantable, seeded tags. You know, the kind that you throw in the ground and come up wildflowers or some kind of vegetation. Costs a bit more, but certainly adds a wow factor (and eco-conscious of course). 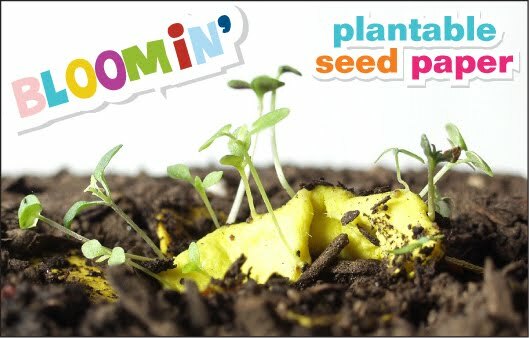 http://www.bloomin.com/index.html. Bloomin’ is local too, which is great. Working out a deal with them in trade for organic shirts. We’re also planning to work with another local artisan that we’ve talked about before. 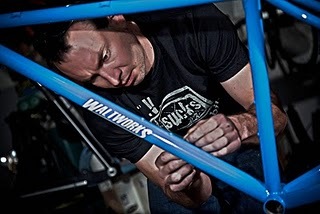 We will be introducing a Walt Works organic t-shirt. They will be on sale on the website this summer. Mock-up of the T in a future post. We are hammering out the design now. This is exciting since Walt has a devout following. His bike geekness is legendary, and his frames are bling (but utilitarian at the same time). The bike-mower he is going to build, however, will seal the deal. Can’t wait to get some pics of it in action. Look out for the Youtube video this summer too. Kind of busy in the ER right now, but I’m having a hard time motivating myself enough to go treat all the dying non-emergent patients. If I have to go see another “just don’t feel right”, I’m going to turn homicidal. Oh crap, the nurse just told me about the 92 year old lady in room 5 who has been dizzy and tired for a week. I suppose I should go see her. But first I have to go take a wiff and a gander at the foul discharge coming from the lady in 11. And yes, it is coming from THERE. Got to love this job! Ryn tells me you have to sign into Facebook to make it count. Aren’t we too old for Facebook? Well, if you understand how to use Facebook, do me a favor and tell all your friends about the contest too. Here I go to battle death and disease . . . .